Smartwatches can help you stay fit, offer the latest updates, and even work as your music player. However, the sci-fi version of smartwatches is not unimaginable, since you can already watch videos from YouTube on Android Wear. An app called “Video for Android Wear & YouTube” enables you to watch all videos on the tiny smartwatch. Surprisingly, the app comes with all the basic YouTube features like searching, forward/rewind, and volume control. However, the most useful aspect of the “Video for Android Wear & YouTube” is its ability to cast videos to your Chromecast. Make sure that your Android Wear is connected to your smartphone once you’ve downloaded the app. 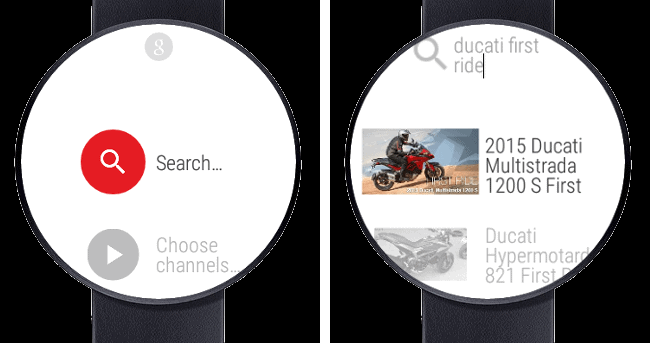 You will be able to see a video icon on your Android Wear once the app has been installed on your smartphone. Open the Video for Android Wear & YouTube app on your Android Wear and begin browsing for any video. You can use Google Voice search, choose from subscribed channels, or simply type in the name of the video you want to watch. Play the video and use your finger to scroll through the video, or press the centre of the screen to play/pause the video. You can control the volume of the video by pressing the volume icon on the right side of the screen. Connect a Bluetooth headset to the smartwatch to hear the audio. However, you must remember that the video and audio playback can seriously drain the battery life. Now comes the part which is probably the most useful aspect of the Video for Android Wear & YouTube app. To cast a video directly to your TV from your smartwatch, swipe right and press the “Cast” button. 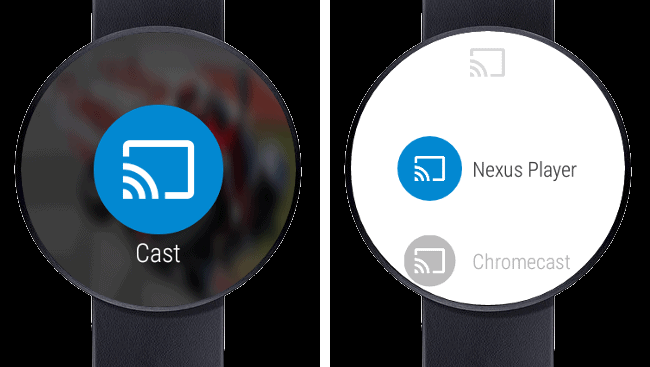 You will be able to see the list of all the Chromecast devices available to the Android Wear device. Scroll down the list, find the right one and tap on it to cast the video from your smartwatch, without even touching your phone. Have you tried watching videos with YouTube on Android Wear yet, or is it just a battery draining gimmick? Let us know your opinion in the comments below.